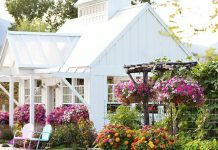 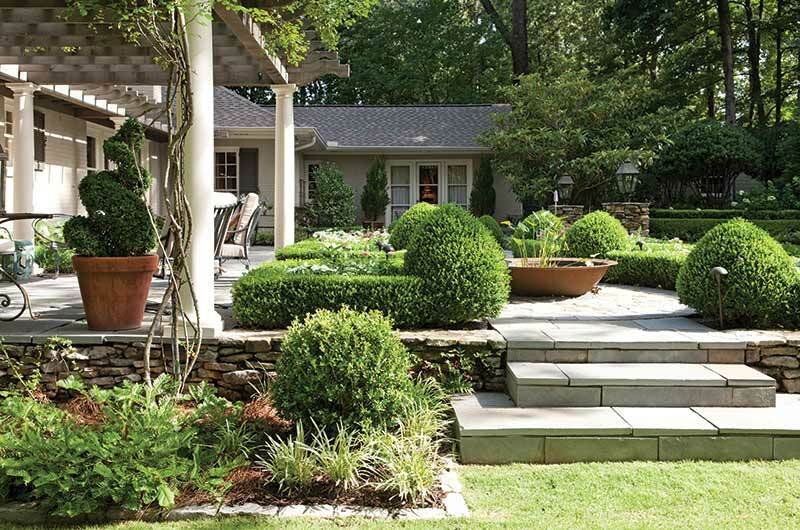 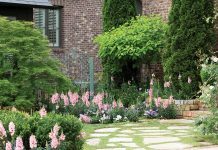 See how these Alabama homeowners created a cottage garden ideal for entertaining. 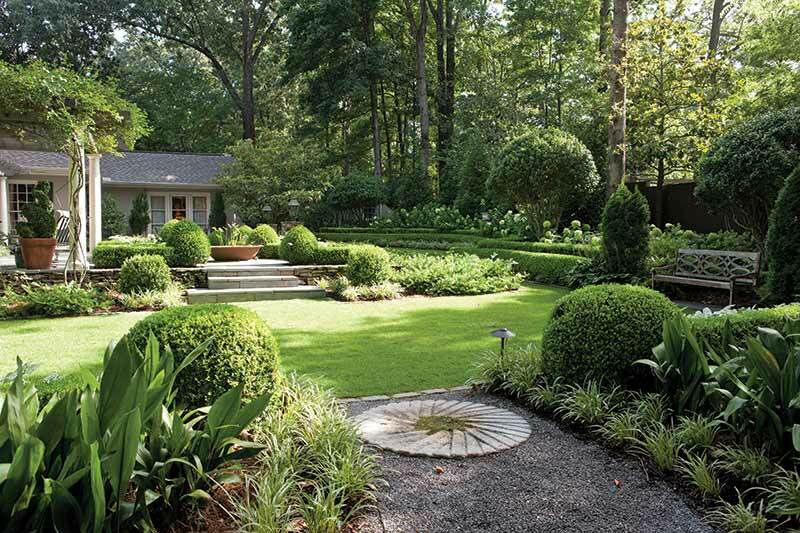 Tucked behind a 1950s ranch-style home in Montgomery, Alabama, awaits a charmingly quaint cottage garden. 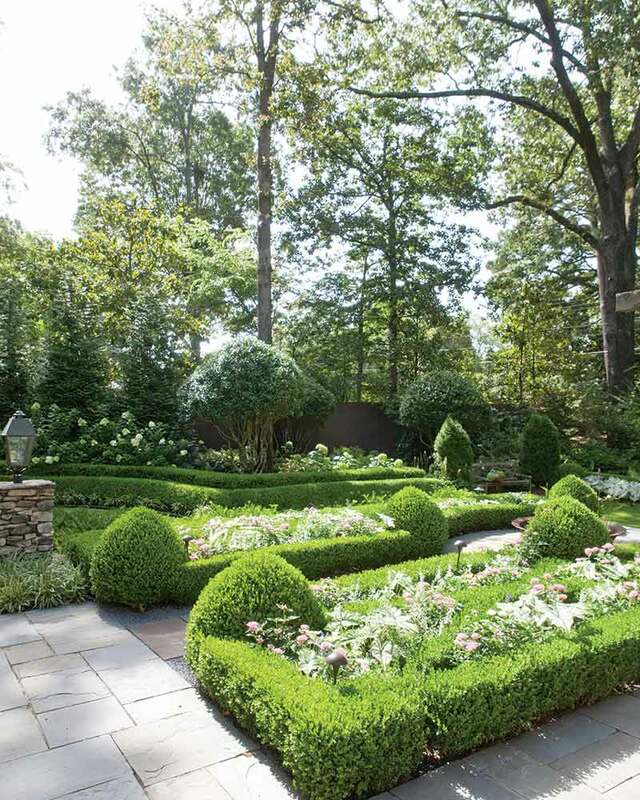 Rows of manicured boxwoods offer structure to the garden’s interior sections while ‘Limelight’ hydrangeas line the exterior. 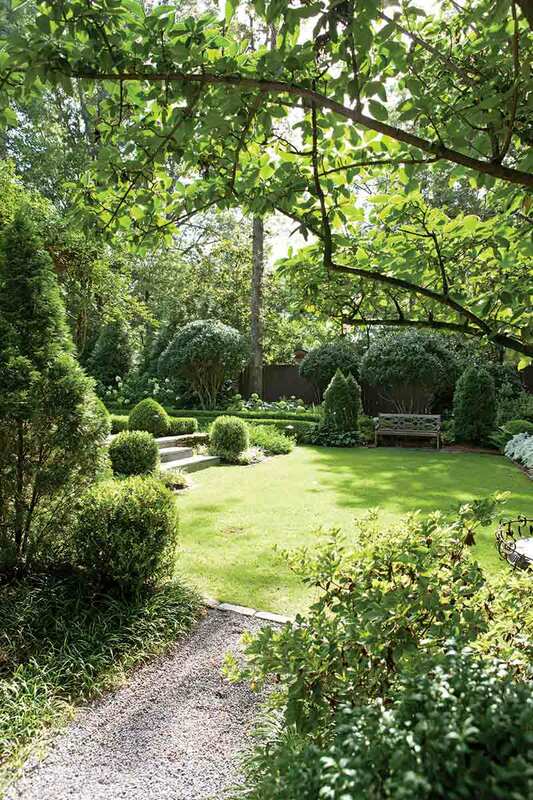 Designed with the concept of outdoor rooms, the garden is grounded in architectural construction. 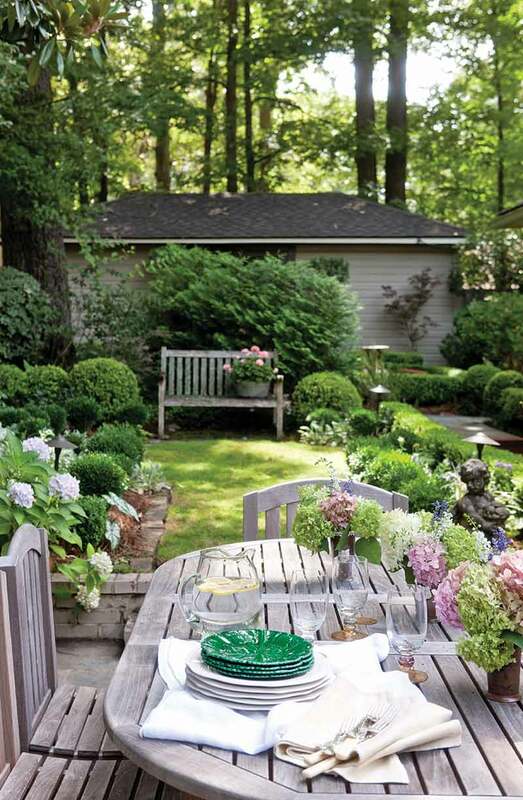 For example, just off the kitchen you’ll find a charmingly cozy outdoor room with an inviting dining table while outside the main body of the home is a large terraced hardscape. 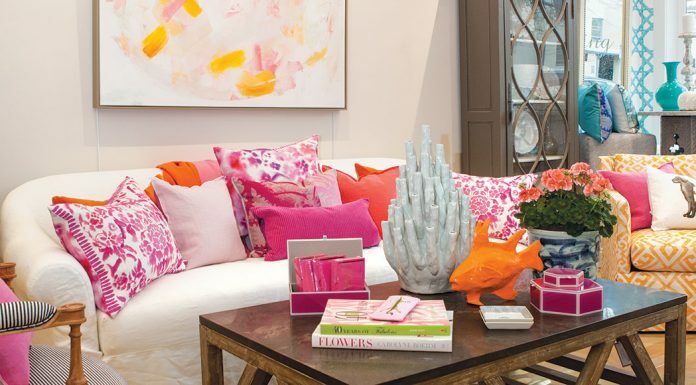 “The whole idea was to create a hard surface coming off of all the rooms so the party could continue,” Elisabeth says. 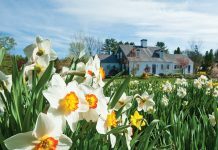 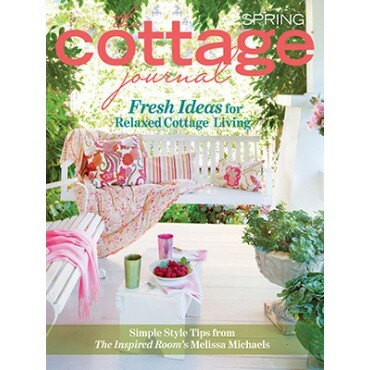 For more cottage garden ideas, check out the issue below!